Enter the world of Star Wars and launch into action and adventure! A servant of Darth Vader and the Empire, The Inquisitor was tasked with hunting down and eliminating Jedi who survived Order 66. Combine The Inquisitor’s shield with the weapons from the Guavian Enforcer and General Hux packs (not included) to build an ultimate weapon of galactic power. Discover exciting stories of good versus evil in a universe of heroes, villains, and aliens with Star Wars Forest Mission Packs. Each sold separately. Star Wars products are produced by Hasbro under license from Lucasfilm Ltd. Hasbro and all related terms are trademarks of Hasbro. Enter a galaxy of adventure and imagination with Star Wars toys! This incredible saga of good versus evil in a galaxy far, far away includes some of the greatest heroes and villains of all time. Recreate exciting scenes from the films, television series, books and games with the action figures and vehicles. Pretend to be a favorite character with role-play gear including Lightsabers, blasters and masks. There is something for everyone young and old for playtime adventures and awesome collections. Jedi Knights, Sith Lords, bounty hunters and aliens of all kinds are here. For over 30 years, Star Wars has fueled imaginations and thrilled children and adults with the adventures of Luke Skywalker as he learns the ways of the Jedi, the dark villainy of Darth Vader, the wisdom of Yoda and the exciting events that reach across an entire galaxy. May the Force be with you! 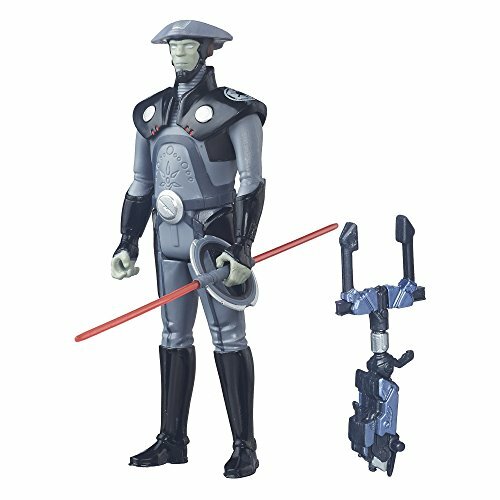 Star Wars toys are produced by Hasbro under license from Lucasfilm Ltd.
Re-create the biggest battles and missions in the Star Wars saga with this Fifth Brother Inquisitor figure from Star Wars: Rebels and discover the exciting stories of good versus evil in a galaxy far, far away! A towering presence, the Fifth Brother Inquisitor is tasked to hunt the rebels by Darth Vader himself. 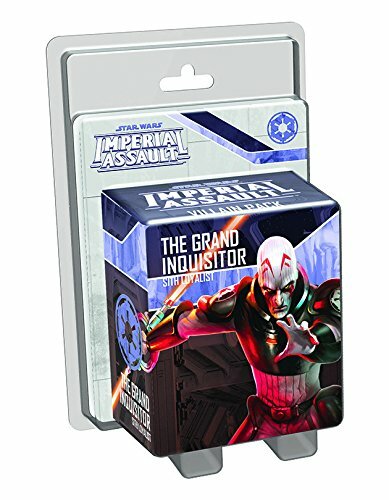 A man of few words, the Fifth Brother Inquisitor uses his intimidating physicality and brute strength to try and best the rebel crew and capture the elusive Jedi. 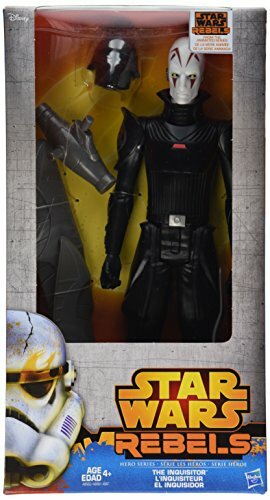 Recreate the most unforgettable moments of galactic tension with this Fifth Brother inquisitor figure that comes complete with combinable weapon and is designed to look just like the character from Star Wars: Rebels. 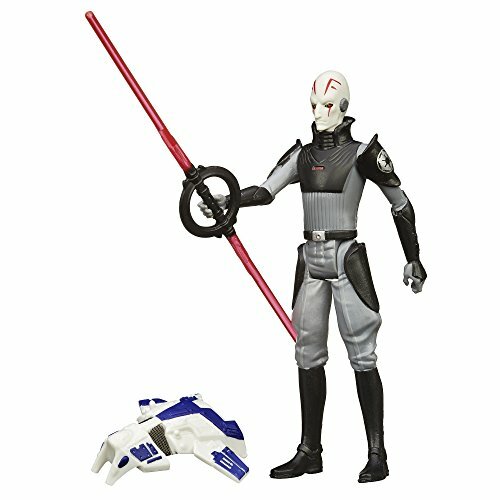 Relive the intense action and compelling drama of Star Wars: Rebels with the Fifth Brother Inquisitor and other figures from the Star Wars universe, each sold separately! Star Wars products are produced by Hasbro under license from Lucasfilm Ltd. Hasbro and all related terms are trademarks of Hasbro. Enter the world of Star Wars and launch into action and adventure! Discover a galaxy of starships and vehicles, and get immersed in exciting stories of good versus evil against a backdrop of a universe populated by heroes, villains, droids, and space creatures. Driven by revenge against the Sith and consumed by a personal obsession to turn Ezra Bridger to the dark side, Darth Maul faces off against the Seventh Sister Inquisitor, a cunning mastermind who uses a group of mimic droids to track down the Rebels and capture the Jedi. 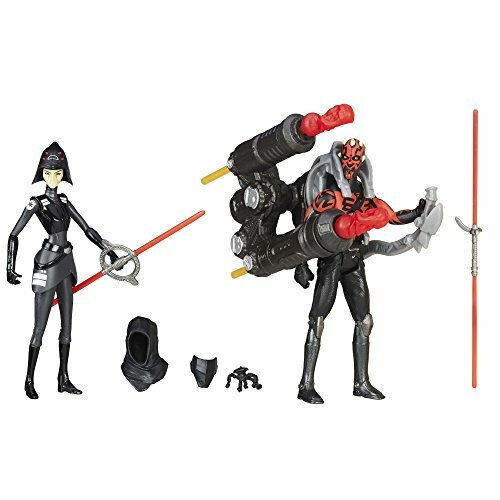 This exciting Star Wars Rebels Seventh Sister Inquisitor vs. Darth Maul battle pack in-cludes 2 figures, 4 accessories, and a dual projectile launcher for awesome battle simu-lation! Collect and do battle with this Star Wars Rebels Seventh Sister Inquisitor vs. Darth Maul figure 2-pack and other figures and vehicles from Star Wars: The Force Awakens! Additional items each sold separately. Hasbro and all related terms are trademarks of Hasbro. 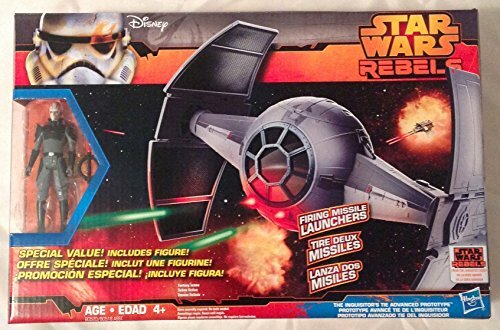 Star Wars products are produced by Hasbro under license from Lucasfilm Ltd.
Hunt down rogue rebels on planet Lothal in the experimental LEGO Star Wars TIE Advanced Prototype. Developed from TIE Fighter design, The Inquisitor's top secret starship is packed with advanced technology, like folding wings for flight and landing modes, 2 spring-loaded shooters and an opening top hatch. The rebels' battle for freedom just got a whole lot tougher! 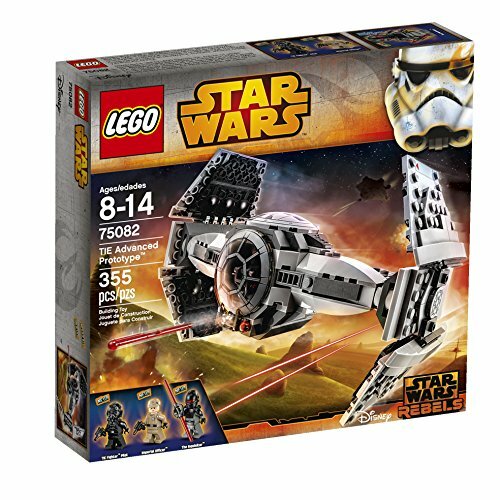 Includes 3 minifigures with assorted weapons: The Inquisitor, a TIE Fighter Pilot and an Imperial Officer. NEW Star Wars Rebels Inquisitor SL03 Figure NIB Hasbro Great Deal! !